AT&T has completed the blockbuster $80 billion takeover of Time Warner in a move that could spark a flurry of mergers as telcos seek to acquire content producers to boost their business. The move combines AT&T’s fixed and mobile networks with Time Warner’s vast content portfolio which includes HBO, Warner Bros., CNN and Bleacher Report. The acquisition has been two years in the making with the path to completion finally paved by a US court which found no reason to object. 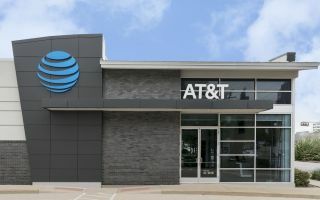 There had been concerns the move would harm consumers, but AT&T argued it was essential if it was to compete with Over the Top (OTT) players like Netflix. The combined business will comprise four independent units – communications, media, international and advertising & analytics. Each have their own CEO who will report to Stephenson. Meanwhile former Time Warner CEO Jeff Bawkes will be an adviser during the transition period. As traditional revenues are squeezed by changing habits and intense competition from OTT providers, telcos are looking at content as way of ensuring their networks aren’t just ‘dumb pipes’ for others to profit from. In the US, this is particularly true given the popularity of ‘cutting the cord’ with regards to cable television. For AT&T, it believes its investments in fibre and 5G will help enable new content types such as VR and 4K. In the UK, either Comcast or Disney is expected to acquire Sky. Both Comcast and Disney have an interest in acquiring 21st Century Fox, which wants to buy Sky before any transaction. However complicating matters is the fact that Comcast wants to purchase Sky directly. Both Fox and Comcast have been given the green light by competition authorities to bid for Sky, but it is likely that Disney and Comcast’s bids for Fox will have to be cleared by regulators. Both will hope that the AT&T and TimeWarner deal will ensure a more favourable regulatory environment. Check out the best mobile deals for June 2018!